General George Washington led the fledgling United States to victory over the British at the Battle of Yorktown in October of 1781. The Army Heritage Trail commemorates the American and French triumph with the Redoubt 10 exhibit. 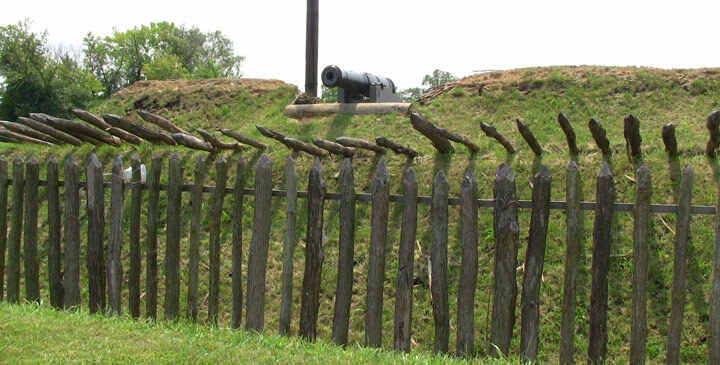 Redoubt 10 was part of British General Charles Cornwallis' defenses ringing Yorktown during the battle. The redoubt was manned by British troops and assaulted by the Continentals under the Marquis de Lafayette. 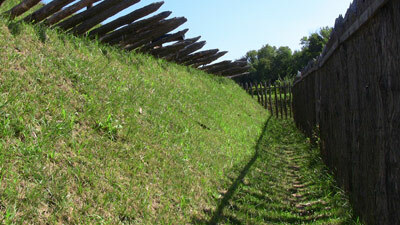 Our scale replica features many of the same defensive works as the original redoubt in Yorktown, including dirt-filled gabions, timber palisades, and a ditch leading to the steep sides of the fortification. In addition, the exhibit contains several period artillery pieces, including two eighteen pounder cannons with a commanding view of Interstate 81 and two twenty-four pounder mortars. In late September 1781, the American and French troops under General George Washington finally achieved the upper-hand on Lord Cornwallis' British Army. The British force under Cornwallis spent the summer of 1781 raiding Continental Army logistics throughout Virginia, and decided to settle in Yorktown, Virginia to defend against possible American counter attacks. 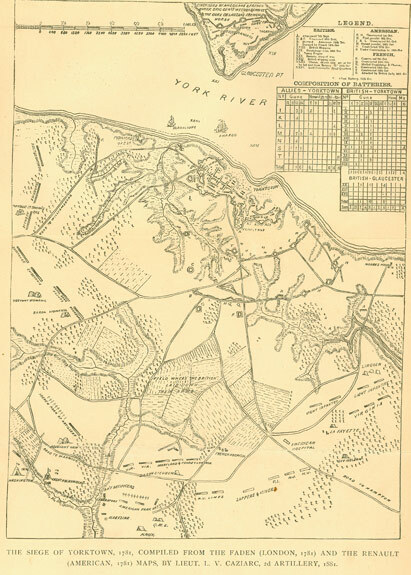 The British general chose Yorktown because its deep harbor allowed for reinforcements to arrive via ship from General Sir Henry Clinton's forces stationed in New York. Unfortunately for the British, Admiral Thomas Graves, who was supposed to deliver the reinforcements, was defeated by Admiral Comte de Grasse, the French naval commander, in the Battle of the Capes, trapping Cornwallis. The Continentals and the French, numbering over 16,000 troops, secretly moved away from New York, where they were expected to attack, and marched 450 miles south, approaching Cornwallis' stronghold before the British could finish the series of entrenchments around the town. The struggle for Yorktown lasted until October 16, when the embattled and surrounded Cornwallis finally succumbed and surrendered to the American and French forces. Victory was not a sure thing, however. To achieve victory, the allies built a series of trenches and earthworks around the British defenses to position their men close enough under the enemy artillery to be able to storm the town itself. The British Soldiers were in poor spirits as they watched the Americans and French dig a trench two thousand yards long that ran between six hundred and nine hundred yards from the town's defenses. The British received only meager supplies from small ships that ran the tight French blockade into Yorktown's port. With their stores dwindling, the British tried to defend the town as the Americans began construction of another, closer trench line. The second trench line was directly under the fire of the last two redoubts the British forces held, allowing Cornwallis' men to pour artillery onto the troops digging furiously. 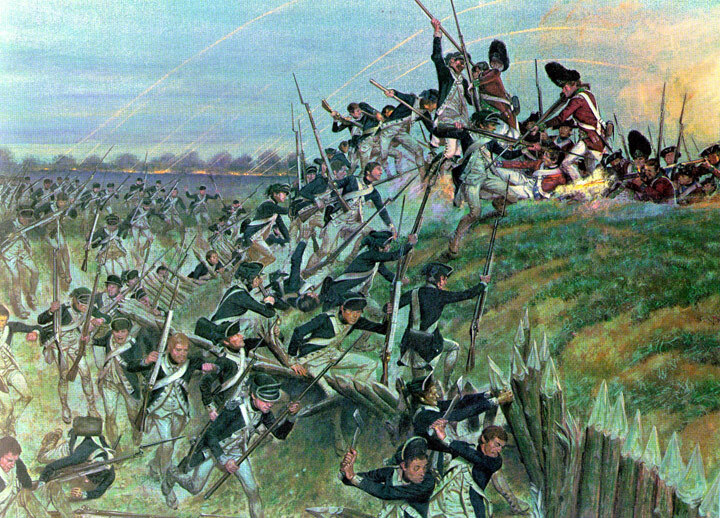 Washington and his French counterpart, Lieutenant General Comte de Rochambeau, realized the only way they could complete the second line of trenches, and thus get their troops and artillery close enough to storm the town, was to take the two last redoubts. On the evening of October 14th, two assault parties formed to attack the two redoubts, designated "Redoubts 10 and 9." A French band under Major General Baron De Viomenil began their attack on Redoubt 9, while French volunteer to the Continental Army, Major General Marquis de Lafayette, commanded the Americans attacking Redoubt 10. Both forces numbered 400 men, and neither had loaded weapons. Instead, the troops fixed their bayonets and followed teams of sappers to the bases of the redoubts. Each redoubt was surrounded by an abatis, or sharpened tree branches tangled together similar to modern day barbed wire, which required the sappers to tear down. The Soldiers, now under heavy musket fire from the British, dropped fascines (bundles of sticks tied with yarn) into the ditch surrounding the redoubt, and placed ladders to climb the sides of the fortification. The fighting within the redoubts digressed into violent hand-to-hand combat. 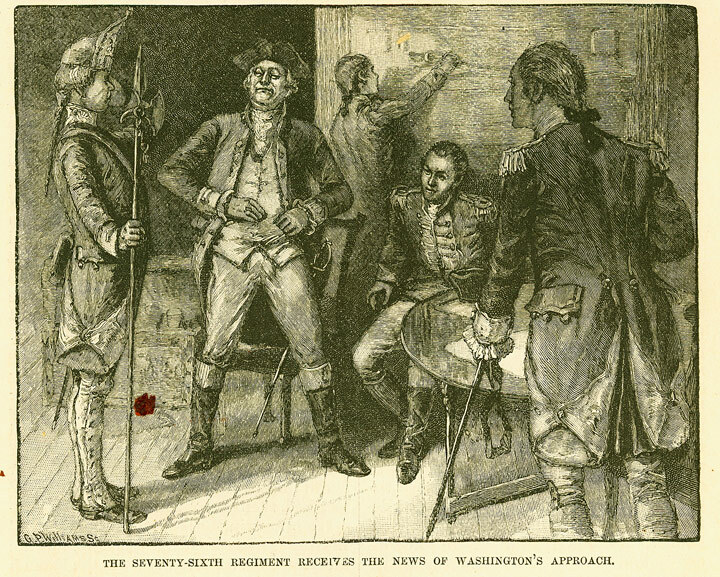 Washington reported on the assault, simply stating the allies "advanced under the fire of the Enemy without returning a shot and effected the business with bayonet only." The French captured one hundred and twenty British and Hessian soldiers in thirty minutes, while the Americans captured seventy in Redout 10. The next morning, the second line of trenches included the two redoubts, allowing the Americans and French to bombard the British incessantly. The British commanders realized there were no reinforcements coming and supplies were running dangerously low. Finally, on the October 17th, Cornwallis sent a drummer boy and an officer to discuss the terms of his surrender. The capture of Redoubts 9 and 10 were the final straw in the defeat of Cornwallis' army. However, redoubts were not new to the American Revolution. They served as defensive positions through centuries of warfare. In fact, most officers in the French, British, and American armies used the same field fortifications manual, John Mueller's 1746 book entitled Elements of Fortification, to build such defenses as redoubts. 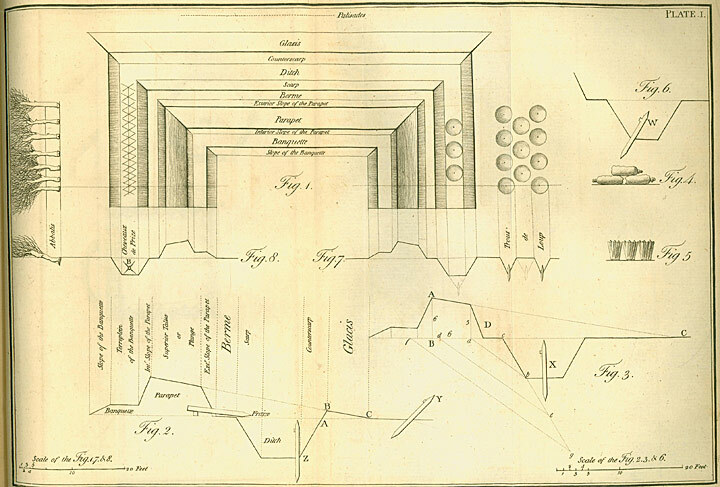 The text, along with Louis Lochee's Elements of Field Fortifications in 1783, and Clairac's The Field Engineer in 1773, offered commanders a variety of shapes and types of defenses to mix and match to any situation. According to these authors, the most common layout for a redoubt was a simple series of defenses designed to both offer cover for the defenders and obstacles for attackers. The attackers first encountered the abatis, a row of trees and tree branches partially buried in the ground with the branches sharpened facing the enemy. The abatis served a similar duty as today's barbed wire. Next, Soldiers encountered the glacis, an area of rising ground forcing the oncoming troops to expose themselves during their approach. The glacis fell directly into a wide ditch with wooden palisades through the center. If the attackers managed to make their way through the ditch, they faced the steep scarp, or other side of the ditch. 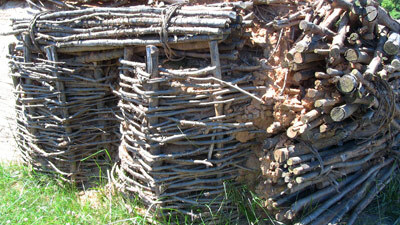 At the top of the scarp was a row of sharpened logs sticking out over the ditch, called the fraises. Beyond the scarp was the final wall of earth, the parapet, over which the defenders could shoot rifles. The parapet was cut every few yards with embrasures to allow artillery to fire at the enemy. The parapet was largely built from the dirt and stones removed from digging the ditch, but engineers also made use of gabions to build up protective works. See a complete list of redoubt components and a diagram of a typical redoubt. A redoubt was not complete without defensive armament. 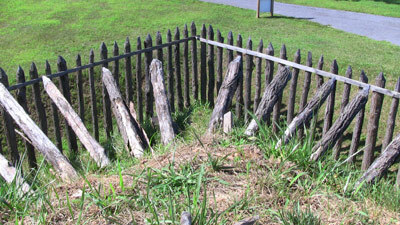 The redoubts at Yorktown carried several types of defensive artillery, plus the muskets and bayonets of the defenders. 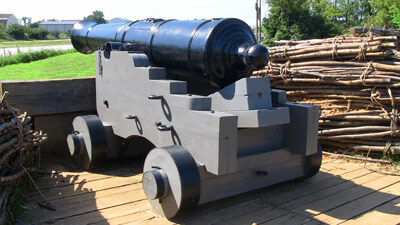 The scale replica of Redoubt 10 on the Army Heritage Trail has two 18 pounder cannons mounted on ship's carriages and fired much like guns on the deck of a man-of-war. The cannons were effective at firing directly at opposing earthworks being built by besieging forces, but to fire directly into opposing trenches, the redoubt's garrison used mortars. The replica redoubt has two 24 pounder mortars positioned in deep pits which fired steep trajectories so the explosive rounds would fall directly on the enemy's head. From an 1881 Harper's Weekly article celebrating the centennial of the Battle for Yorktown, this woodcut is an artist's depiction of a messenger delivering the news of Washington's deception in New York and his arrival at Yorktown. 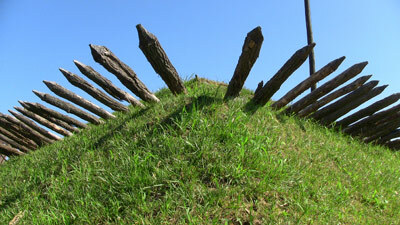 The scale replica of Redoubt 10 at the U.S. Army Heritage and Education Center. American and French Soldiers had a view somewhat similar to this as they made their final approach against the British occupied redoubt. The military minds of the late eighteenth century drew their fortification strategy from a handful of recognized fortification hand books. The above diagram outlining the components of a redoubt is from Lewis Lochee's Elements of Field Fortifications, written in 1783, just two years after the fighting for Yorktown. The eighteen pounder garrison cannon were direct fire weapons, capable of firing solid shot directly at enemy fortifications or anti-personnel grape and canister shot at oncoming troops. Such a cannon can fire up to a mile and a half, posing trouble for Washington and his men as they attempted to advance on Yorktown. 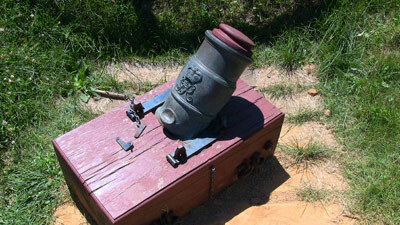 Mortars, like the two twenty-four pounders in the replica redoubt, were indirect fire weapons.